Community – The Sisters are a community of over 300 women religious. They have been an example of what living in a christian community should look like. They have different personalities and different perspectives, but they respect each other. They listen to each other and they find that common ground that brings them together. They celebrate the good, they mourn the losses, they pray, they worship, they serve…TOGETHER. These women pray for each other, they encourage each other and they support each other through good and bad. No matter where they are serving, they still do life TOGETHER. Prayer – The Sisters pray continually. They pray through the nightly news. They take turns praying the hour in the Blessed Sacrament chapel, praying for justice in a world of injustice. They meet together to pray, knowing that where two or three are gathered together, God is there in the midst of them. I will forever treasure the memory of seeing two Sisters, who are biological sisters, praying the rosary together in a quiet corner of the convent. Prayer is an integral part of their lives and they model this effortlessly. Service – Every Sister has a ministry outside of her religious life. Many of the Sisters are now retired educators. They have been teachers, principals, and administrators in all levels of education. There are Sisters that serve in the medical field, in different roles in the Catholic church, empowering the powerless through justice organizations and they serve in other ministries in housing, food distribution, advocating for the poor. They take on whatever ministry God calls them too. They never shrink from a challenge, but embrace the opportunities to minister to all. Providence – Providence is the foreseeing protective care and the guidance of God. I have learned to trust in a Provident God. I have learned to have faith in a God that has ALL things under control and has access to ALL resources. I am used to hearing the Sisters comment on the providence of God when things come together in supernatural ways. I have learned to open my heart to those instances when circumstances are aligned in ways that only God could have aligned them. I take with me the faith that a Provident God will continue to provide and protect me in miraculous ways as I serve Him and others. 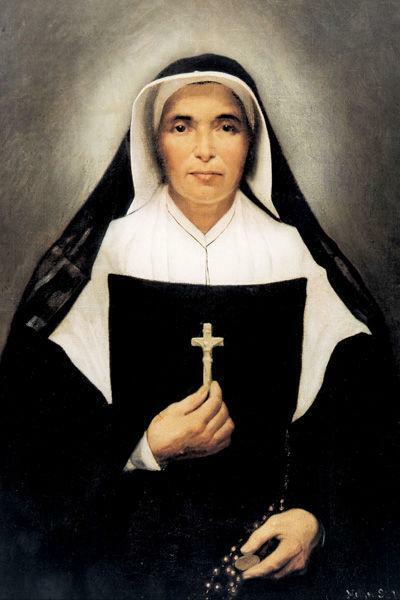 Courage – Saint Mother Theodore Guerin was the epitome of courage. In 1840, she led a group of nuns from France to establish an academy for women in the wilderness of Indiana. 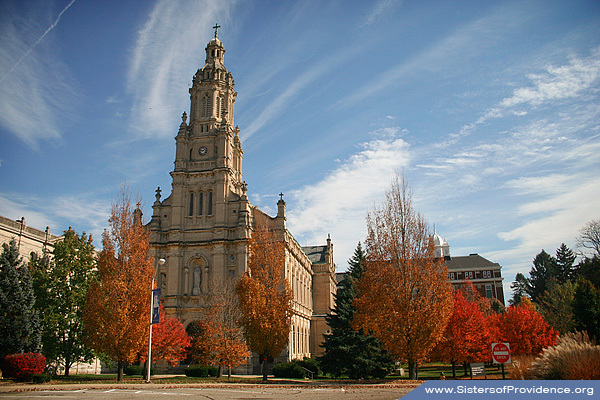 She was often ill, but still founded what is now Saint Mary of the Woods College, the oldest Catholic College in Indiana. She is also the founder of the Sisters of Providence of Saint Mary of the Woods, Indiana. The Sisters of Providence are an order of women religious who have welcomed over 5,000 women as Sisters in the 179 years since their founding. Following the lead of their courageous leader, the Sisters have opened schools, health clinics, food pantries, reunification programs for children in foster care, and a myriad of other programs that address the needs of the poor. I have watched as Sisters courageously battle cancer and other illnesses. I have watched as they have courageously tackled financial struggles and I have watched as they continue to fearlessly face the future. Love – The Sisters LOVE ALL that walk through their doors. I have felt that love for 8 years, as I have been prayed for, encouraged, shown appreciation for my work, and blessed in so many different ways. The Sisters are an example of God’s love in this world. They truly love those they serve. It isn’t just lip service. When the Sisters say they care, they really do. They welcome strangers into their midst, hoping that the love and peace found at the Woods will be carried in the hearts of those who wander in. No one who encounters a Sister walks away without knowing that they are deeply loved. They don’t care about imperfections and sins of the past. They love simply because God loves. Love is part of their DNA. It is a part of who they are and I have been a blessed recipient of that love. As I face this next chapter of my life, I will remain in community with the Sisters as a Providence Associate. I will continue to join with them in praying for justice where injustice reigns and I know that I carry their prayers with me wherever I go. I will serve where God calls and in Georgia that means that I will be doing what I have dreamed of for thirteen years, serving single moms with a faith based non-profit organization. I will continue to place myself gently in the hands of providence, trusting in a Provident God, who will continue to provide for me as I find resources to provide for other single moms. I will face my future with courage. There are unknowns and obstacles, but I serve a God who is in control of ALL circumstances and I will fearlessly walk forward in faith. I will welcome those around me with the same love that I was welcomed. I will love others despite imperfections and past transgressions. No one is perfect and God loves us ALL. The Sisters will remain forever in my heart and I will miss their kind words, their laughter and jokes, their good natured teasing of each other and me, and I will miss their patience when I am flustered and stressed. They each go with me as I journey forth. I will never forget the Women of the Woods.